Sixt is a global leading car rental provider with branches around the world. We are happy to offer our affordable, premium services to those looking to rent a car in Grenoble. With our extensive fleet of luxury and econom vehicles we have your mobility needs covered. Available with our services in Grenoble is a diverse variety of vehicles from some of the best car manufacturers in the world. Browse our selection and then book what suits you best online or over the phone. You can choose between our up-to-date compact cars and sedans, sports cars and convertibles, SUVs and vans. Great deals on upgrades are also to be had and can help you enhance your Grenoble car rental experience. As you make your reservation tack on a GPS, child seat, additional driver, insurance and more to your rent a car. Please note we can only guarantee you to receive a vehicle in your chosen car category and not an exact car model. 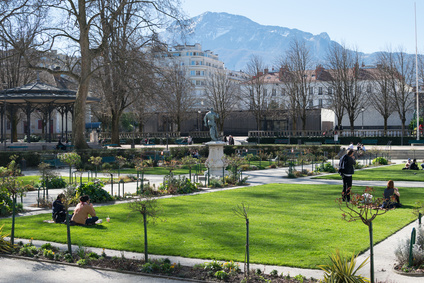 Grenoble is located in the spectacular Rhone-Alpes region of France and is a favorite destination for winter sports lovers, and music and film fans who come for its famous festivals. With your rent a car you can tour around the local attractions freely and venture out into the surroundings at your own pace. Visit the fantastic museums and then head out on excursions into the French Alps. You can make use of your car rental to spend time at the nearby mountain lakes or go hike up Moucherotte mountain. Whatever you decide to do while in Grenoble, get to your destinations in comfort and style with a reliable rental car from Sixt. We look forward to handing you over the keys and helping you out with your travels in France!